Scenario: Shinichi awakes after that a guard were flashing his flashlight on Shinichi, while then that the guard says little kid, wich that mades Shinichi into an confusion. One of the guards lift him up, and evenly were more shocked that a guard can lift him that easly up. While then that Shinichi overheared that he's going to an creche he escaped. While that he runs down to town, he noticed that his condition is lowered, while that he then looked at the window of a store and sees that his body hise been shrinked into a grade schooler that shocked him evenly more. While then that Ran were calling up Shinichi trough the phone, but she were only capturing the voice mail of him. While then later Shinichi is trying to get into his own house but it can't wich that Professor Agasa appears and evenly don't believes that the Shinichi is just now a little kid. Shinichi then tells to the professor that he went to his favorit restaurant Columbo, were Shinichi uses his deduction reasoning to have that Professor Agasa believes him. Later Ran were running to Shinichi's house, wich that Shinichi and Professor Agasa were talking about how this all happened. Shinichi then explains that two mysterious men in black persons knock him first out and forrced him to take an strange poison. While then evenly Ran's vouce were been heared and after that Shinichi were hiding behinds the desk of his father, wich that Ran were been discussing with Professor Agasa were Shinichi is, evenly then Shinichi takes the glasses from his father, wich that they are to heavy for them and replace them with lighter on, while then that Ran heard that Shinichi were been dropping his head on his fathers desk, Ran founded him and evenly ask him what his age is. Shinichi then tells that he's 7 years old wich that Ran ask to Shinichi what his name his. Shinichi became under pressure and were comming up with the fake name Conan Edogawa, while then that Professor Agasa came on the idea to take Conan to Ran's house, wich that Shinichi disgreed with it. While then that Professor Agasa were saying to Shinichi that it is needfull to track down the mysterious mens that hse done to him. While then later outside wen Ran takes Conan to her house, she evenly ask to Conan if he hase a girl that he likes, while then that Conan denied that he hasn't and ask Ran if she hase a person she likes, while that she were saying yes, and Conan were saying if it were maybe Shinichi, while then that Ran were also saying yes and evenly tells some things about him, wich that makes Conan completely blushing. 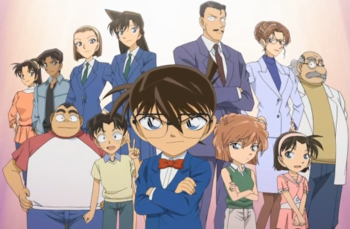 When then Ran were showing her house to Conan, Conan then want's to tells to Ran that Conan is actually Shinichi, wich suddenly Kogoro appaers and tells Ran that he hase an kidnapping case, a men dressed in black kidnapped the presidents daughter. Wich that Conan hits on the line and evenly want's to go to the case of the kidnapper. Well then that they arrived at the mansion of the comapny president, he were telling that it goes about his lovely 10-year old daughter Akiko. 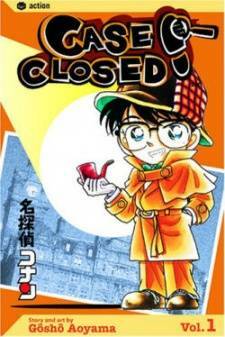 While then that Conan don't notice that he's just a kid, he want's to solve the case, but after that they don't believe him and put him out of the side, he noticed that he's completely hopeless. While then after that Conan take on a ball and evenly clears up his mind, he then noticed something, while then that later the the butler were been acting all strange towards them and evenly were known as the kidnapper. While then after that Kogoro knows that the butler is the kidnapper, Conan feels something that Akiko is more in danger, while then later the comapny president gets a phone call from the originall kidnapper, wich that he's the one who kidnapped Akiko. Later on then that Akiko were saying that she's seeing a chimney, Conan runs of with one of the dogs of the company president. While then that Conan hase been seeking of various kinds of Chimneys around the area, he later then sees an skyscraper wich that on the other side hase a form of a chimney and then evenly noticed were Akiko hase been hidden. After that Conan meets the kidnapper and the dog were been sent for the attack, Conan then runs off to Akiko wich that Akiko ask him who he is, Conan almost exposed his identity as Shinichi Kudo but he tells his own name. While that the dog hase been hitted and runs off, it's now the turn on Conan. Conan then attacks the kidnapper, wich that the kidnapper gets him and throw him away, evenly Conan noticed that his strenght hase been lowered, while then he sees a soccer ball and kicked him with strenght, wich that the kidnapper catch is easly, wich that Conan also noticed that his kick power hase been lowered. While then the Conan dodges the attacks of the kidnapper, but were later been failed in dogging and were been striking heavy, while then that Conan is almost death, Ran then appears and beats down the kidnapper, then evenly Kogoro appears and bind the kidnapper, wich that evenly later the Kidnapper tells them that he were the only one who kidnapper Akiko. The company president then gives the butler more the blame, suddenly then Akiko jumps in to protect the butler, wich that it were never happened if the company president hase time for her. Then he cames up to go for 3 weeks to Australia were Akiko always wanning to go, later then Akiko say to Conan "Farwell Detective" wich that Ran were looking strange to Conan and Conan then shows of to Kogoro that he's the one being called Detective. Then later in the Taxi, Ran ask Kogoro if Conan can stay by them, later then Kogoro were happy if Conan stay, bicause he could maybe be Kogoro's lucky charm in solving cases.